This Environmental Test Chamber & associated equipment was designed, constructed, installed & commissioned by Heuch for the Australian Department of Defence. This Test Chamber was featured in a segment of ABC’s Catalyst program, presenting the Chambers use as a testing enviroment for Australian Defence Force uniforms. View the video below. 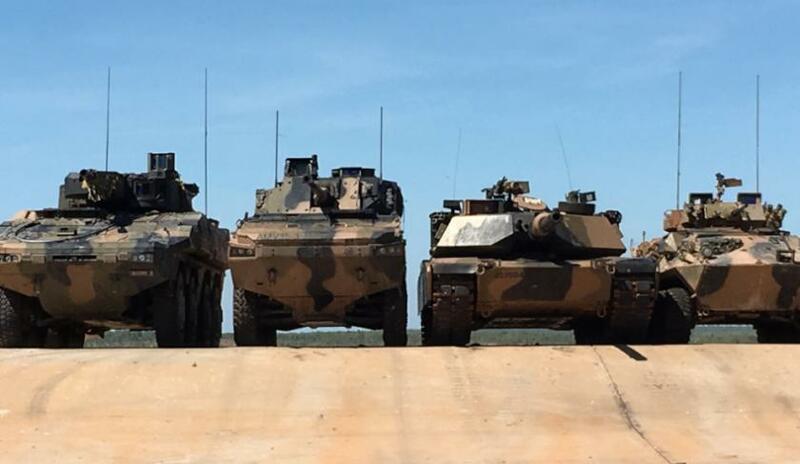 After months of anticipation, Defence Connect can reveal that Rheinmetall Australia has been selected as the successful tenderer for the hotly-contested LAND 400 Phase 2 program. Rheinmetall’s bid, comprising of the Boxer CRV, has beaten out BAE Systems Australia AMV-35 offering. The project, worth up to $5 billion, will see Rheinmetall deliver up to 225 combat reconnaissance vehicles to the Australia Army. Under the company’s offering to the Commonwealth, Rheinmetall will build a majority of the vehicles in Queensland. The first 25 vehicles will be built in Germany in a move Rheinmetall says will support the transfer of technology. Australians will be embedded into teams in Germany to learn the necessary skills before transferring back to Australia for the build of the remaining 200 CRVs. While the first 25 vehicles are being built overseas, Rheinmetall will establish its manufacturing hub, the Military Vehicle Centre of Excellence (MILVEHCOE) in Brisbane. The MILVEHCOE was announced by Rheinmetall last July and will act as a sovereign industrial capability for the continuous design, manufacture, export and support for military vehicles, turrets and tactical systems. As a centre of excellence, the MILVEHCOE will be the focal point for the LAND 400 combat vehicles, LAND 121 logistics vehicles and other complex defence projects. Under the LAND 121 Phase 3B program, Rheinmetall is delivering more than 2,500 logistics trucks to the Australian Army. Rheinmetall has partnered with several Australian SMEs for the project, including Melbourne’s Heuch, Cablex and Tectonica Australia, Burnie-based Direct Edge, Brisbane-based G&O Kert, Melbourne/Brisbane-based Hilton Manufacturing, Perth-based Hoffman Engineering, Melbourne-based Nezkot Precision Tooling and Engineering, Adelaide-based Plasteel and Adelaide-based Redarc. A Dandenong company’s revolutionary transportable power and dehumidification packs will go into service with Rheinmetall’s Boxer Infantry Fighting Vehicles in Lithuania. Rheinmetall Defence Australia and Victoria’s Heuch, which has been a supplier to the Australian Defence Force since shortly after its inception in 1970, will today announce the major export agreement. Under the agreement with LAND 400 Phase 2 bidder Rheinmetall Defence Australia, family-owned Heuch will design, develop and manufacture 88 made-to-order mobile units that will increase the lifetime of batteries operating in each Boxer vehicle. The mobile unit is placed next to each stationary Boxer and delivers a charge to batteries ensuring it is immediately operational. The technology, designed at the company’s Dandenong South operations, will also incorporate a dehumidifier that delivers dry air into the interior of the vehicle when it is stationary to eliminate corrosion and mould. Rheinmetall Defence Australia managing director Gary Stewart said Heuch’s commitment to innovation, capability and high performance gave it the leading edge over other international suppliers. 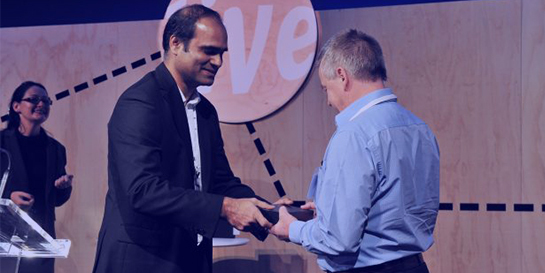 “Heuch has demonstrated how Australian manufacturing capability can open up new and exciting opportunities for local SMEs in offshore markets under our global supply chain agreement,” Stewart said. Heuch managing director Steve Oakley said the company, which has 16 direct employees and counts the Royal Australian Air Force, Thales and the Defence Science and Technology Group as its customers, was pleased to have the opportunity to collaborate with Rheinmetall and to achieve international recognition for a new product designed and developed in Victoria. “The team at Heuch are very proud to have such a strong history meeting defence force requirements and this project is no exception,” Oakley said. The export agreement will form part of the Boxer Infantry Fighting Vehicle (IFV) Project in Lithuania, which will be delivered by ARTEC – a joint venture between Rheinmetall and KMW. 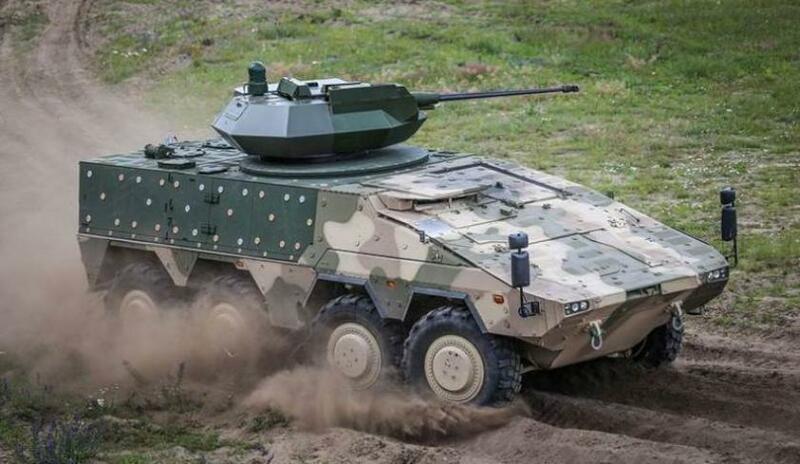 The Republic of Lithuania has signed a contract for the procurement of 88 Boxer vehicles in four Infantry Fighting Vehicle versions, called “VILKAS” within the Lithuanian Armed Forces. The Infantry Fighting Vehicles will be equipped with a remote controlled turret with a 30mm cannon and an anti-tank missile. Rheinmetall is bidding its Boxer Combat Reconnaissance Vehicle in Australia through the LAND 400 Phase 2 program, and the vehicle is also being offered to the UK through the ARTEC joint venture bid for the Mechanised Infantry Vehicle (MIV) program. The Boxer has also just been selected by the Republic of Slovenia for a new Central Battalion Battle Group. This latest announcement between Rheinmetall and Heuch comes after West Melbourne’s Tectonica Australia landed an export agreement with Rheinmetall for its Australian-designed and developed local situational awareness system (LSAS), which acts as the eyes and ears for soldiers in combat to increase awareness and protection. Rheinmetall is up against BAE Systems, which has offered the AMV-35 to be built in Victoria, for LAND 400 Phase 2. Under the German company’s bid for the project, which is worth up to $5 billion, 225 combat reconnaissance vehicles for the Australian Army will be built in Queensland if Rheinmetall is successful. Along with Heuch and Tectonica Australia, Rheinmetall has partnered with several other Australian SMEs for the project, including Melbourne-based Cablex, Burnie-based Direct Edge, Brisbane-based G&O Kert, Melbourne/Brisbane-based Hilton Manufacturing, Perth-based Hoffman Engineering, Melbourne-based Nezkot Precision Tooling and Engineering, Adelaide-based Plasteel and Adelaide-based Redarc. Rheinmetall has also partnered with BlueScope, which would see the Port Kembla steelworks company deliver thousands of tonnes of feedstock for the LAND 400 Phase 2 project. The company has also committed to establishing a Military Vehicle Centre of Excellence (MILVEHCOE), which will be the global manufacturing base for the Boxer CRV, the company’s new Lynx Infantry Fighting Vehicle and range of Lance turrets under its LAND 400 offering to Australia. The government will make a decision on the LAND 400 Phase 2 project in the first half of this year, with the national security committee expected to make a decision on the project this month. Our March Newsletter, and a fun MARU fact! 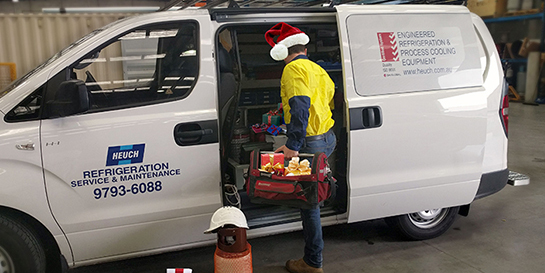 In this edition, a fun fact about our Mobile Autonomous Refrigeration Utility, we share a case study on a project we did with the Australian Broadcasting Corporation (ABC) and provide information on our mobile air conditioning units. We would also like to thank everyone who came past and saw us at the Avalon Airshow this year. The Mobile Autonomous Refrigeration Utility (MARU) has received some fantastic feedback and we also received a great write up in Climate Control News which you can read here. We are looking forward to working with everyone over the coming months! FUN FACT: Since our return back to the factory, we kept the unit running internally in our state of the art test chamber, and the MARU unit ran for 116 hours with zero solar energy input. Major cultural and sporting events are broadcast to national and international audiences by a fleet of 8 mobile broadcasting studios fitted into a fleet of drop deck semi-trailer chassis. The trailers are complete with control for multiple cameras and include editing and mixing suites. Heuch was commissioned by the Australian Broadcasting Corporation (ABC) to implement the environmental temperature controls for their outside broadcasting vehicles. Read our case study on this great project we did here. 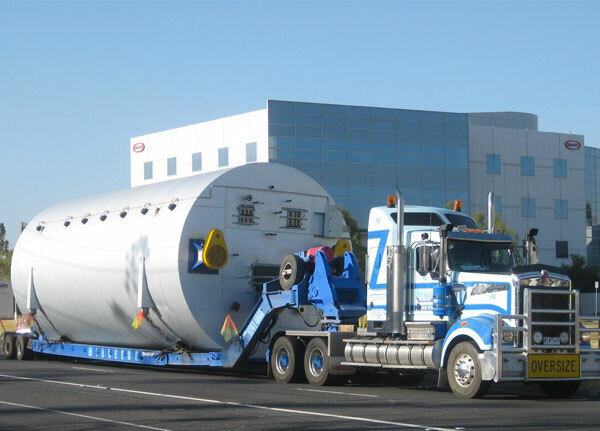 Did you know that Heuch manufacture a series of lightweight mobile air conditioning equipment, designed for Australian roads and ambient extremes? We have placed several of the auxiliary cooling units within the Australian Defence Force land transportation. Find out more here. To keep up to date with all our latest news and to join the conversation you can follow us on Linkedin. The Earth intercepts a lot of solar power: 173,000 terawatts. That’s 10,000 times more power than the planet’s population uses. So is it possible that one day the world could be completely reliant on solar energy? Richard Komp examines how solar panels convert solar energy to electrical energy. This is posted as part of the TED-ED Original lessons and the full lesson can be found here. You can also read up further on our solar power packages below. 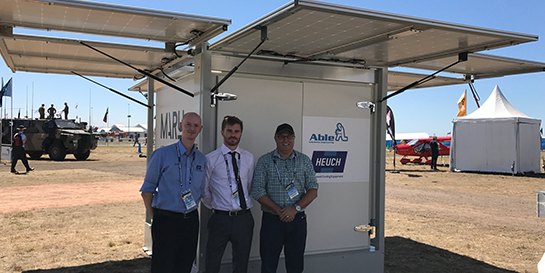 A direct replacement for diesel powered refrigeration equipment, Heuch’s solar power units are designed to operate in the harshest and most remote environments. They are suitable for areas without a reliable grid connection, emergency services, disaster relief and defence applications. Our award winning solar refrigeration solutions are designed to be transportable world wide and can be deployed and operating, at no cost, in minutes. There are no fuel costs or fuel quality and logistical problems that accompany current diesel solutions. 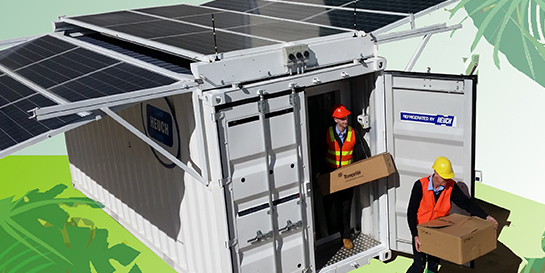 The mobile solar powered refrigerators units are supplied as turn key packages in 20′ and 40′ ISO high cube shipping containers and are fully customisable internally. +4°C and -18°C variants are available and provide 24 hour cooling in any environment. Potential applications range from food and medical storage, post harvest, in-field pre-cooling, server rooms, research labs and morgues. Removing cooling equipment allows for offices and first aid centres, powered workshops or a uninterruptible power supply. Read more about our solar refrigeration containers here. 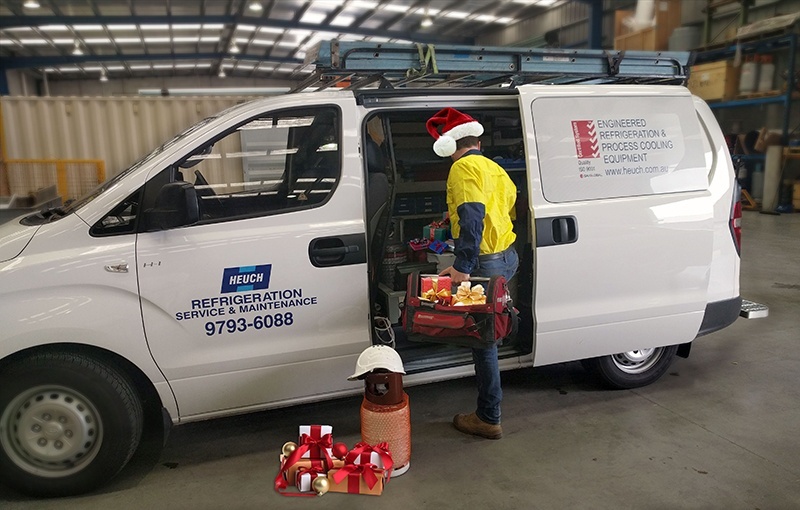 We would like to wish you a safe and happy festive season from the entire team at Heuch! In this edition of our monthly newsletter, we share some huge savings potential for your refrigeration service, delve into how refrigerant phase outs affect you and discuss if solar can actually benefit your business. Huge savings potential for your refrigeration service! A while back we wrote an article regarding waste heat recovery opportunities, and now further research has come out in support of the huge savings potential! More information here. There has been a lot of discussion around the industry moving towards natural refrigerants over synthetic refrigerants, and this can be a great step forward. But is it the right decision for you? Read more here. 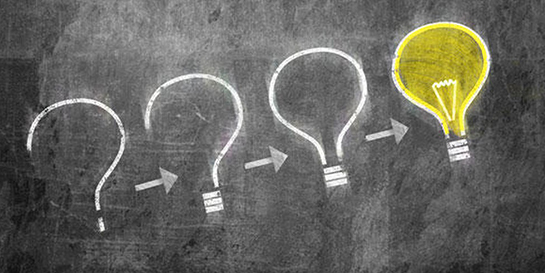 Want to know if solar can really benefit your business? Today’s industries are demanding more and more energy to operate, with machinery efficiency increasing, unfortunately so to is our reliance on electricity. So can solar power benefit your business and increase your profit margins with this “free” electricity? Find out more here. We are also going to be at the Avalon Air Show next year! Don’t forget to get your tickets and we hope to see you there! To keep up to date with all our latest news and to join the conversation you can follow us on Facebook and Linkedin. With increased importance on food safety and freshness, as well as increased demand in cold storage facilities as reported at the beginning of the year, refrigeration services are now under stricter governance than ever before. Food produce providers now need to take the entire process of harvesting to processing to storage to transport all into consideration as the retail food trends of “farm to plate” are now ingrained within not only consumers mind sets, supermarkets, but also pop culture and fast food options. 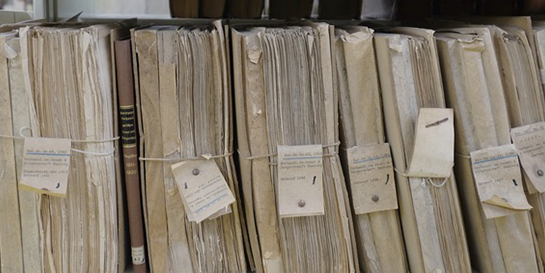 Retail facilities need to ensure they are collecting, analysing and acting upon all the data gathered. Especially around product temperature. To ensure that the food being held remains fresh as was originally harvested from the farm to the manufacturer to the store, and then into the hands of the consumer. Protecting consumers from food borne illnesses and preventing food loss (which is a direct source of revenue) is an imperative and can be consistently achieved if you actively maintain your refrigeration service. Comprehensive refrigerant service and equipment monitoring methods can ensure that your machines are running at optimal levels for your food produce at all stages of the cycle. It also means an increase in usable life of your equipment. 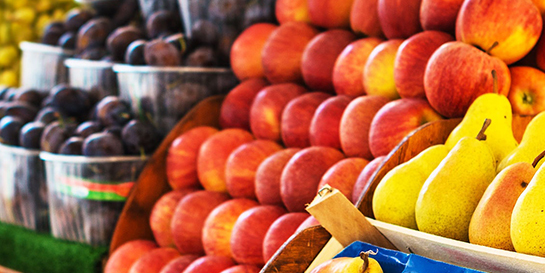 With achieving the most efficiency and longest useful like for your systems you not only help increase your bottom line, but also ensure that your consumers are receiving their ideal of “farm to plate” freshness and helping prevent food borne illnesses. Here at Heuch, we focus entirely on your business and how we can provide the best solution for your refrigeration services within the food processing industry. We can offer advice and service for the entire cold chain cycle. From harvest to processing to storage. For more information regarding our food processing industry services click below. Huge Savings Potential for Your Refrigeration Services! A while back we wrote an article regarding waste heat recovery opportunities with your refrigeration services. And now further research has come out in support of the huge savings potential! According to research by Dutch firm KWA Business Consultants, annual savings from reusing waste heat produced during the refrigeration process could save industry from having to purchase some 1.3 billion cubic metres of natural gas. The research – commissioned by the Netherlands Enterprise Agency (part of the Dutch Ministry of Economic Affairs) – found that companies could recycle up to 40% of the heat produced during the refrigeration cycle, requiring them to use less natural gas for heating. By utilising the waste heat for other applications you can increase the energy efficiency of your facility. Increasing your energy efficiency has an immediate and direct effect on your financial bottom line by reducing daily expenditure on services. To read more about opportunities to utilise your waste heat click below.